Standing at 24cm tall, this real wax ivory pillar candle adds height to your candlelit displays for stylish church chic. Display alone or with other pillar candles at various heights for minimalist candlelit displays that add warmth and a welcoming atmosphere to your interiors. 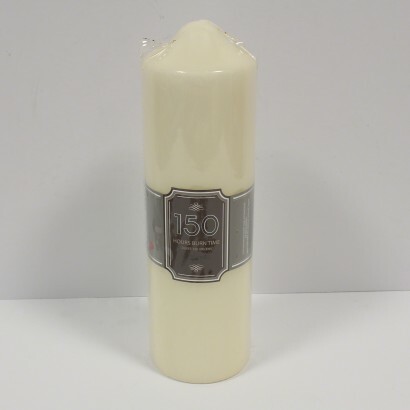 With a whopping 150 hour burn time, this classic candle has plenty of life in it taking you through many a relaxing evening or candlelit dinner!